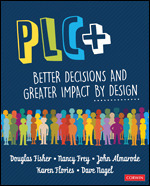 The PLC+ framework provides educators with a practical and evidence-based framework focused on supporting the planning and implementation of both student and professional learning. In the same way that teachers work to identify the learning needs of their students, it is important that PLC’s identify the learning needs of their adult learners in order to develop the most appropriate instruction for students in their classroom. The Corwin PLC+ Institute is a two-day event that provides teachers and teacher leaders with space to engage in deep discussions, thoughtful and genuine reflection, and examine their impact on student learning. Attendees of this institute will walk away with a better understanding of the PLC+ framework -- its potential impact, the required steps for implementation, and how it builds individual and collective efficacy, as well as teacher credibility. 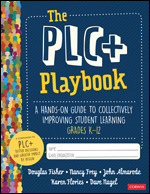 Are you ready to introduce the PLC+ framework in your school?